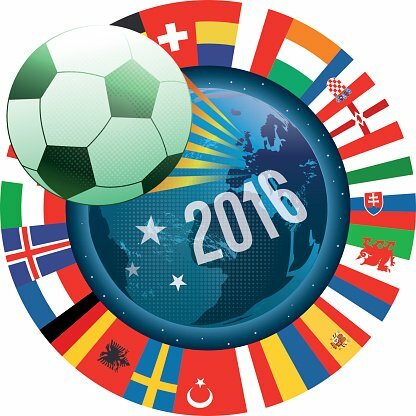 Euros 2016 and Olympics: How can retailers cash-in on major sporting events? In the world of sport, years don't come much bigger than 2016. Starting on 10th June, a month long feast of football kicked off in the form of the European Championships, being held in France, where the continent's top international teams will do battle for the title currently held by Spain. Then, in less than a month's time, 'The Greatest Show on Earth', the 31st Olympic Games, will begin in Rio de Janeiro, Brazil. The two events, which will be widely watched and supported across the UK, throw up plenty of opportunities for related marketing and advertising activities informed by industry analytics and competitor monitoring, providing companies with the right intelligence required to be ‘top dog’ in the retail sales conversion leagues. During any major sporting events, eCommerce and highstreet retailers seem to go into overdrive with their competitive streaks. One of the most effective ploys can be smart pricing strategies to celebrate the holding of the event - these could take the form of special discounts for the duration of the tournament, or perhaps on days when any of the home nations - England, Wales and Northern Ireland - are playing. Think Tesco's 'Match Winners' special offers on alcohol and food and John Lewis' smart TV offers - they're both vying for the number one spot in their marketplace. Advertising can supplement these kinds of strategies, notifying potential customers of a 'World Cup special offer', and retail analysis can be performed in order to determine the effectiveness after the event has finished. We are specialists in analysing both industry pricing and competitor pricing, so if you are mulling over the best plan of action ahead for either the Euros or the Olympic Games, try one of our free Competitor Monitor trials to see how we can help you stay ahead of the chasing pack.